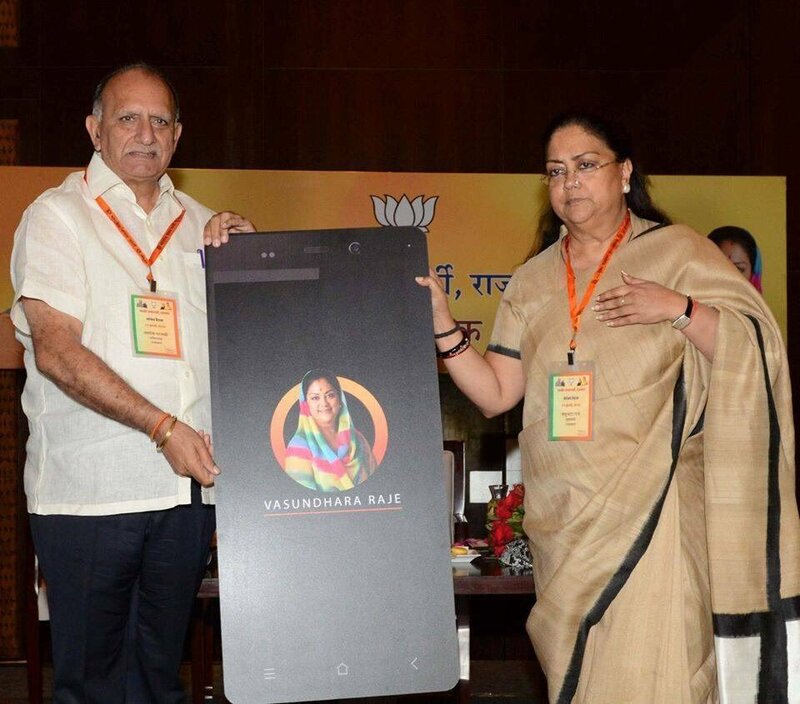 After Prime Minister Narendra Modi, it is Rajasthan’s honourable Chief Minister who has successfully launched her mobile application known as Vasundhara Raje App. This fact amazingly extends its relation to one of those reasons Why Vasundhara Raje is Not Your Regular Politico. Raje’s cool as well as trendy ‘tech savvy’ nature makes her quite different from one of those ‘usual government politicians’ who are still falling short of substances to put forward on basic social media channels. While Vasundhara Raje and her immense hard work towards her state and the country needed a popular platform to get showcased for the people so that everyone gets more access as to who Vasundhara Raje is and what her Rajasthan is all about. 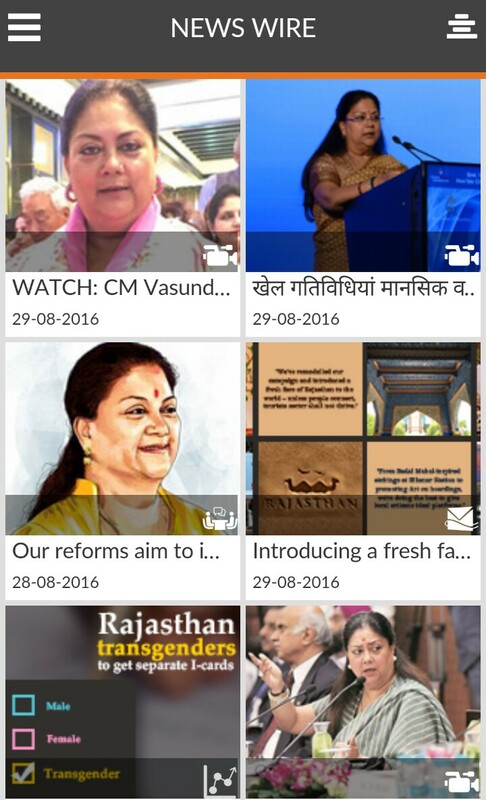 Vasundhara Raje App is that one stop where you can avail all information related to the most popular female politician of the country. It is these times defeating steps that CM Raje takes which make her a politician who is quite ahead of her time. 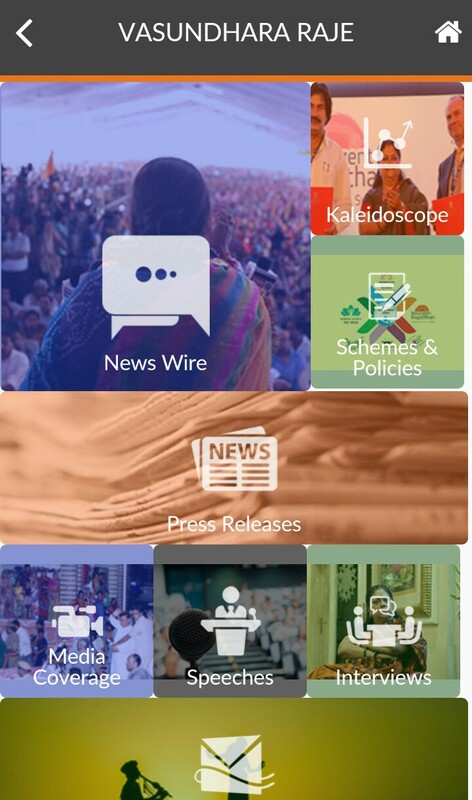 This being her official app, it will culminate every latest update from the state of Rajasthan and also the various ongoings from in and around it. Apart from just connecting the public with every little detail about numerous schemes launched and headed by CM Raje, with the help of this app one can also get an opportunity to get in touch with her. This means that any person, who has some constructive ideas and suggestions to share, can use this app to interact with Smt. Raje and get them wholly conveyed. All press releases and entire media coverage will be included in a separate section like in vasundhararaje.in and through this latest news about Vasudhara Raje government will be displayed for interested public of the state. Along with every scheme, all policies which came into existence after Raje’s enthronement are also shared on this app. Any changes or new updations in them get first hand attention by the app developers because the main aim is to apprise the general public with absolutely correct facts. Everything that CM Vasundhara Raje says in words be it via speeches, interviews or meetings, all of it is covered in this app. We know how a person’s life can be understood through his/her words, similarly this particular section can clearly showcase how dedicated and inspiring Raje as a leader is. Vasundhara Raje App is also the next best platform for redressal of grievances. At back hand, every query and complaint is registered and connected to Rajasthan Sampark Portal to provide the public with quick and best solutions. So what are you waiting for? If you are a proud Rajasthani then go and download the app and participate in making a ‘Digital Rajasthan’! Previous articleLove your pet dog? Feed them safe with this magical tablet!